What an eye-catcher! This beautiful HK-Living triangle lampshade is made of jute in ivory finish. 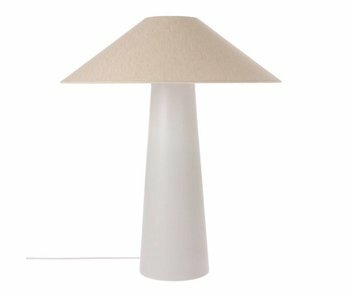 The lampshade is ideal to use with the different HKliving lamp bases. What an eye-catcher! This beautiful HK-Living triangle lampshade is made of jute in mint green finish. The lampshade is ideal to use with the different HKliving lamp bases. What an eye-catcher! This beautiful natural HK-Living lampshade is made of linen. The lampshade is ideal to use with the different HKliving lamp bases. What an eye-catcher! This beautiful blue HK-Living lampshade is made of linen. The lampshade is ideal to use with the different HKliving lamp bases. What an eye-catcher! This beautiful HK-Living lampshade with jungle print is made of linen. 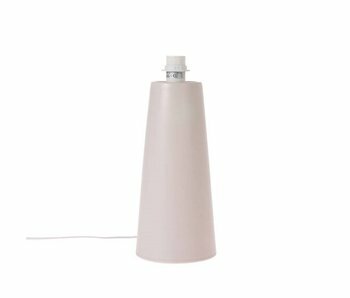 The lampshade is ideal to use with the different HKliving lamp bases. What an eye-catcher! This beautiful HK-Living lamp base is nice to combine with your favorite HKliving lampshade! 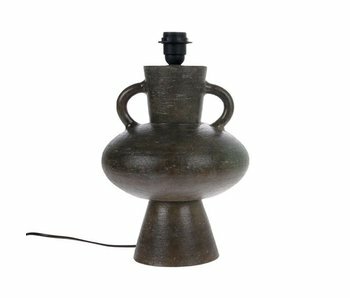 The lamp base is made of gray earthenware and has a 150cm long cord with switch. What an eye-catcher! This beautiful HK-Living lamp base is nice to combine with your favorite HKliving lampshade! The lamp base is made of matt skin pottery and has a 150cm long cord with switch. What an eye-catcher! This beautiful HK-Living lamp base is nice to combine with your favorite HKliving lampshade! 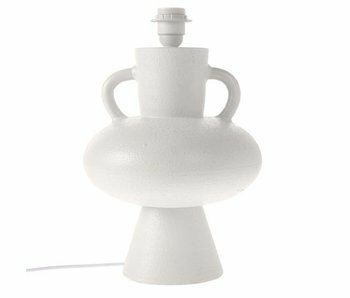 The lamp base is made of matte light gray earthenware and has a 150cm long cord with switch. What an eye-catcher! This beautiful HK-Living lamp base is nice to combine with your favorite HKliving lampshade! 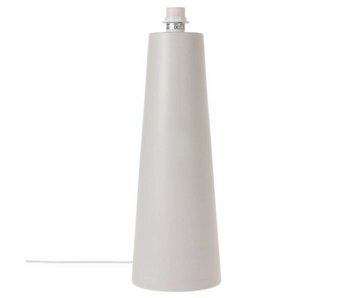 The lamp base is made of white earthenware and has a 150cm long cord with switch. What an eye-catcher! This beautiful HK-Living wicker hanging lamp completes your interior! The HKliving lamp has a white finish and comes with a +/- 100 cm long cord with ceiling cap. What an eye-catcher! This handmade HKliving Pencil lantern lamp is made in the 'last workshop' in the mountains of Taiwan. The lanterns are hand-painted by a Taiwanese artist. Includes 200 centimeter cord and ceiling cap. What an eye-catcher! 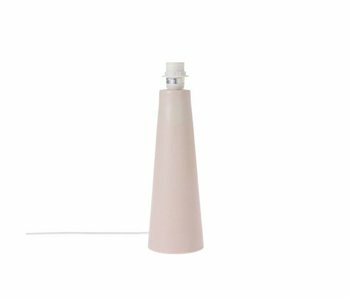 This handmade HKliving Marker lantern lamp is made in the 'last workshop' in the mountains of Taiwan. The lanterns are hand-painted by a Taiwanese artist. Includes 200 centimeter cord and ceiling cap. 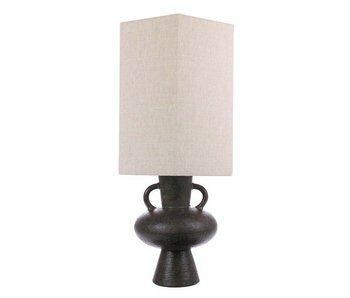 This beautiful HKliving lamp is a true addition to your interior! This HKliving lamp has a charcoal colored lamp base with jungle print lampshade. How do you combine this lamp? This beautiful HKliving lamp is a true addition to your interior! 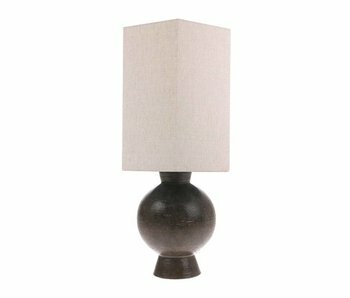 This HKliving lamp has a charcoal colored lamp base with blue linen lampshade. How do you combine this lamp?